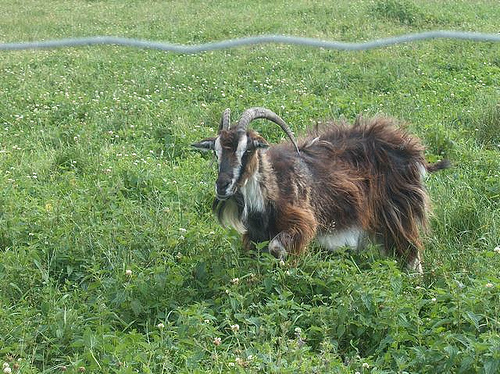 The Danish Landrace is a medium to large milking goat with an average annual milk production of 800 liters. They short to long haired and they develop a thick hair coat during winter, which protects them well against cold weather. Males weigh around 80 kg and weight around females 58 kg. Most are horned but some are polled. They come in many colors such as brown, black, white, and blue-grey. The Danish Landrace Goats studbook, Foreningen for Danske Landracegeder, was opened in 1982.